We have provided safes for over 30 years. All of our safes offer a UL fire rating. We have a large selection to choose from and can help you determine which size meets your needs. Whether it be for your home or business, we can meet all of your security needs. We carry several brands including Amsec and Gardall. Amsec is the world’s leading producer of burglar resistant safes. They produce over 60,000 safes each year and their safes are quality made. They offer the best warranty in the business which includes lifetime fire replacement. We carry 30 minute, 45 minute, 1 hour, 1.5-hour, and 2-hour rated safes. 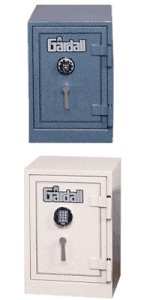 Gardall Safe Corporation is recognized around the world as a manufacturer of premium quality safes and security devices. Protecting your valuables and vital records from fire or theft is our only business. 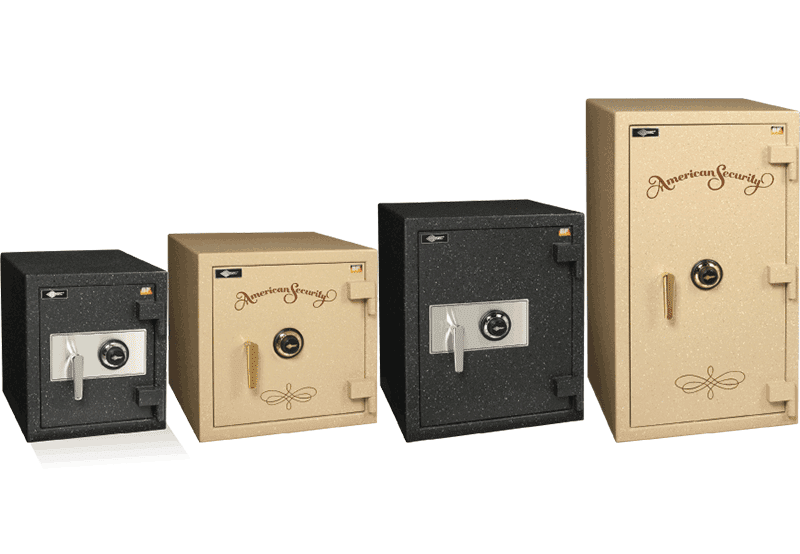 For decades, Gardall Safe Corporation has been dedicated to building the toughest, most secure, safes, depositories, and lock-boxes in the world. 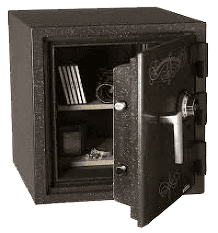 Our “B”-rated burglary safes allow you to receive full insurance coverage in accordance with the Broad Form and Mercantile Safe Insurance classifications and our UL (Underwriters’ Laboratories) 1 and 2 hour safes have been independently tested to keep your records protected in a fire. 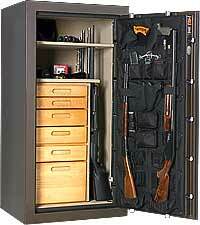 Our gun safes include a premium door organizer which maximizes storage space and offers quick access to commonly used items. All of our premium organizers include see-through pouches and zippered pockets to store valuables, two rows of holders for storage of choke tubes, small flashlights, and ammo. Our gun safes also include two full-width pistol storage systems to accommodate multiple handguns and come with four holsters.